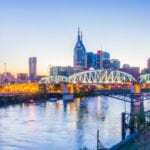 NASHVILLE, TN — Big Brothers Big Sisters of Middle Tennessee is a free mentoring program serving children throughout the Nashville and Middle Tennessee area. Currently, the nonprofit organization has several volunteer Big Sisters waiting to help mentor a child – with a shortage of girls requesting an additional positive adult role model in their lives. In Nashville, Big Brothers Big Sisters has opportunities for children to be part of the program in both a school-based and community-based setting. Carefully screened volunteers are matched with children based on common interests, areas for growth, family backgrounds, other preferences, and geography. Last year, Big Brothers Big Sisters of Middle Tennessee served 1,500 children with a mentor – 55% of which were little girls. This is not because there are more young girls enrolling in the program, but because there are more women volunteering to serve as Big Sisters. “It is always the case that we need men to serve as volunteers,” Southworth continued, “that never changes historically for Middle Tennessee and across the country.” She added, “What’s unique is now in Nashville, we literally have women waiting and no girls to possibly become their Little Sister. Children in the Big Brothers Big Sisters program are surveyed during the orientation process and then again each year evaluating six key life areas: educational expectations, social acceptance, attitudes towards risk behaviors, parental trust, and academic performance. Children with a mentor consistently show improvement or maintain already positive scores in each of these areas – empowering them for bright futures and continued success in life. To learn more about Big Brothers Big Sisters mentoring pro- grams, visit mentorakid.org or call them at (615) 329-9191. Previous articleIs this the year for a Third Party option?